Abdominoplasty surgery removes excess loose skin and fat from the abdominal area and generally also flattens & tightens the musculature and fascia of the abdomen. 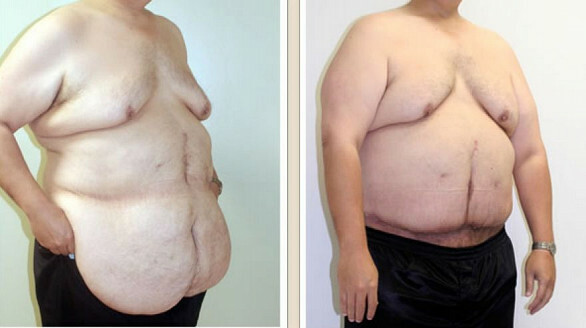 The surgery is meant for those who have had extreme weight fluctuations resulting in sagging skin around the abdomen. 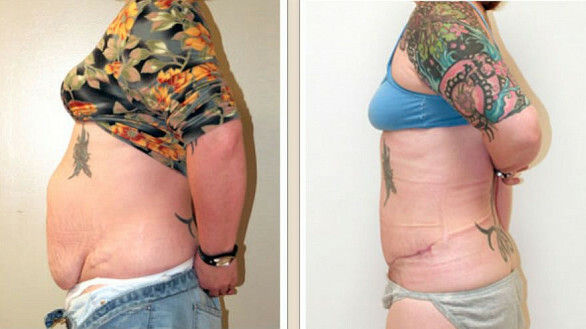 Patients who have lost significant amounts of weight, had gastric bypass surgery, gone through pregnancy or are genetically predetermined to be overweight or have stomach protrusion are candidates for abdominoplasty surgery. Abdominoplasty surgery (tummy tuck) is performed under anesthesia and typically takes 2-3 hours to complete (full abdominoplasty). A full abdominoplasty entails making an incision from one side of the abdomen (hip) to the other just about the pubic area. Another incision is made vertically to the belly button in order to release the umbilical. The abdominal tissue is then released from the abdominal wall and the excess is removed. A centerline suture is then employed to tighten the muscle and fascia. A fibrant sealant is sometimes used before the upper abdominal tissue is pulled down and reattached with sutures to the bottom portion. Our Plastic Surgeon Dr. Michael Pasquale has performed 1000s of Tummy Tuck-Abdominplasty surgeries over 25 years in Hawaii. Consultation for the procedure is without charge. So if you have questions about abdominoplasty or wonder if its the right solution for you , call us or contact us through our web form. Although there are risks involved with any kind of surgery the risks involved with abdominoplasty surgery are rare. Its important that you follow the instructions given to you by your plastic surgeon so that these risks can be avoided. A mini abdominoplasty can be best for smaller patients with less excess fat or sagging skin. The mini tummy tuck removes less tissue and releases less tissue from the abdominal wall. The use of a centerline suture is often unnecessary with a mini tummy tuck but could be used depending on the patient. As always you should consult a plastic surgeon to determine which procedures are best for you given your particular circumstances.